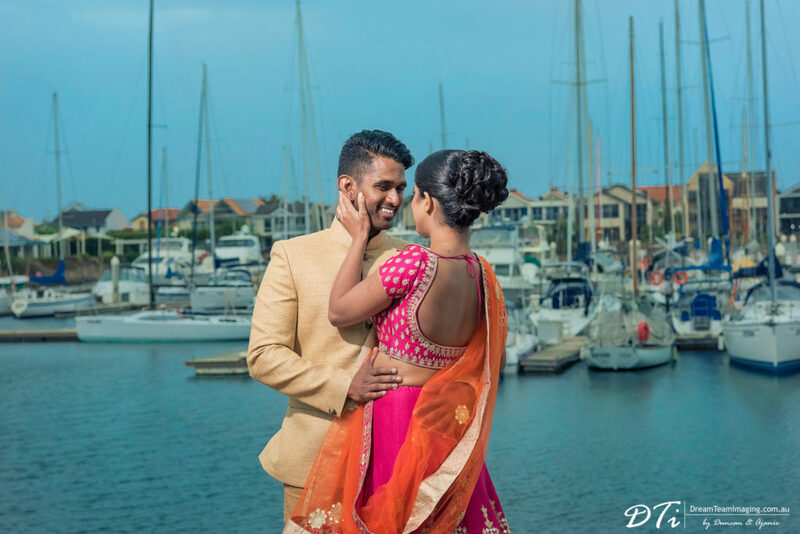 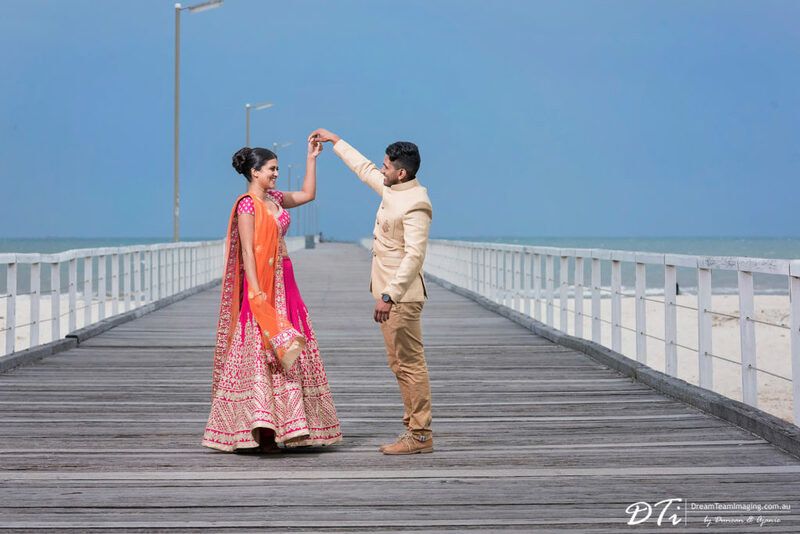 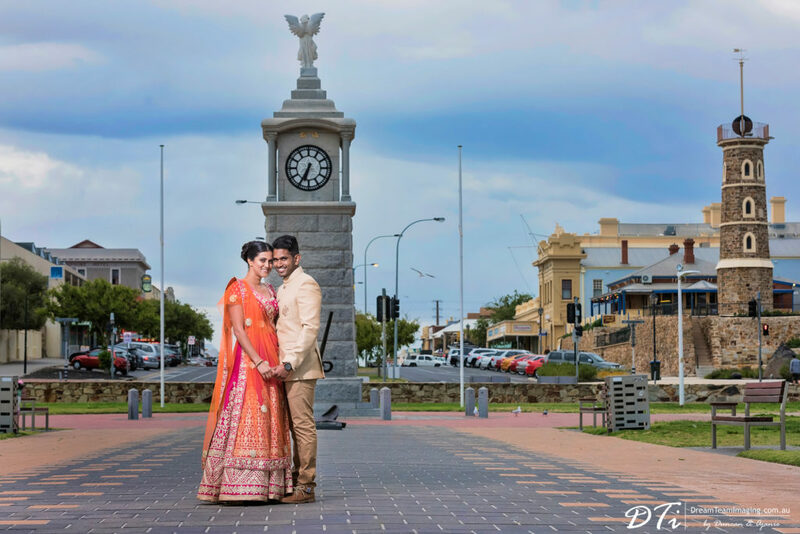 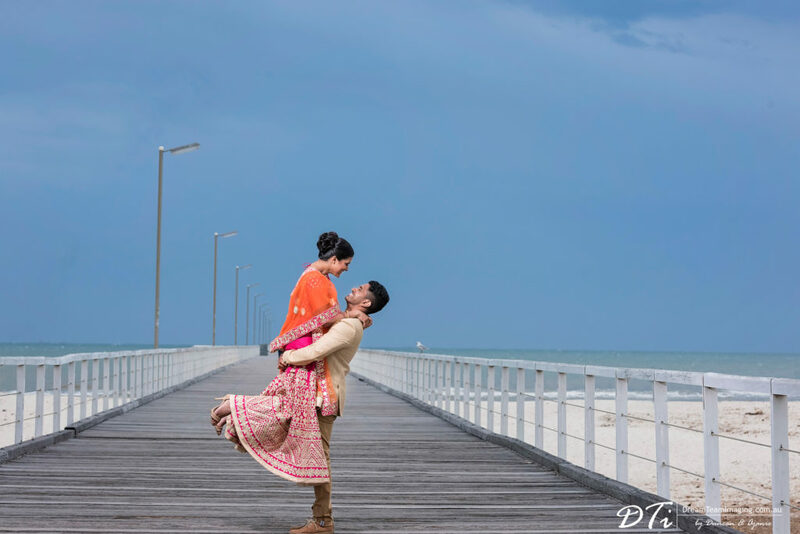 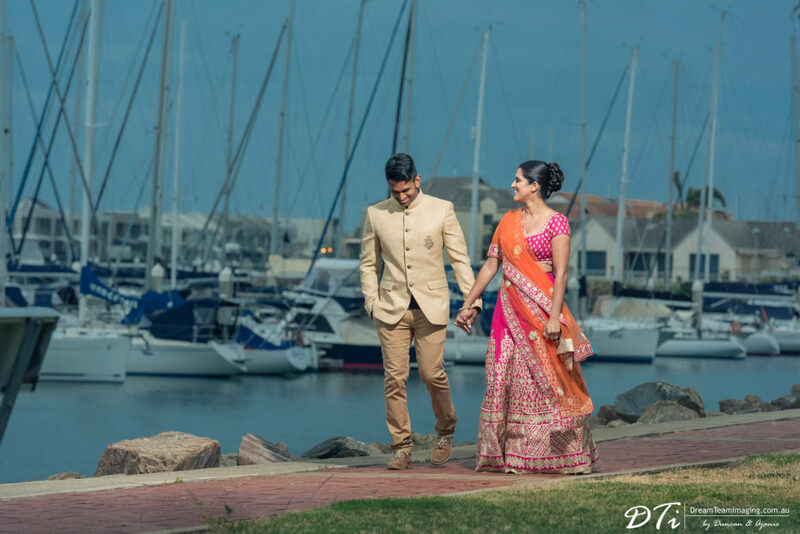 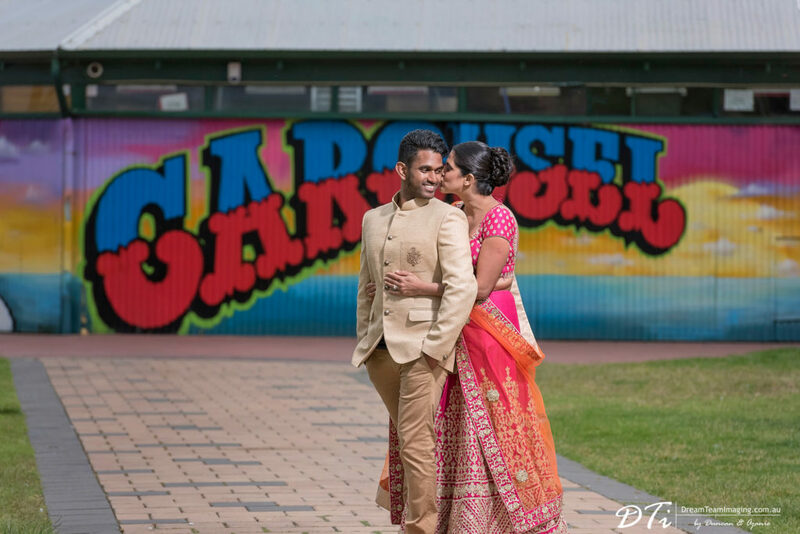 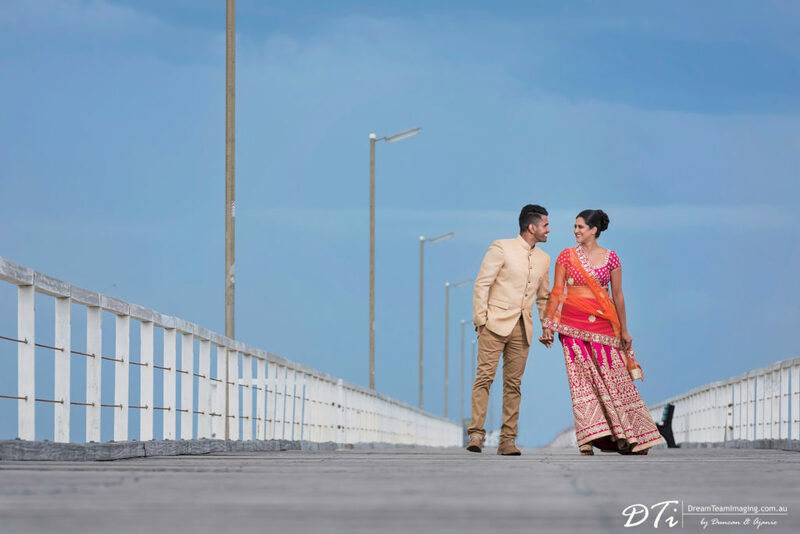 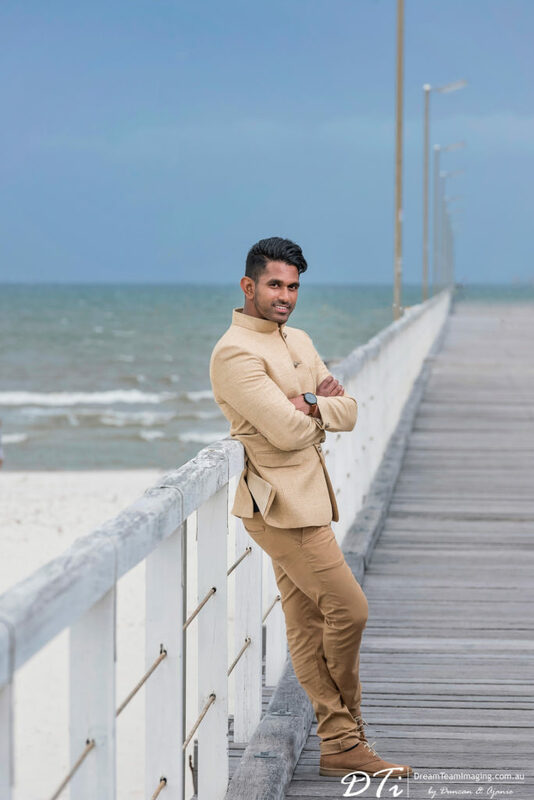 Wanting an ocean backdrop, Semaphore beach was our location to photograph Ankita & Kumar’s pre-wedding session. 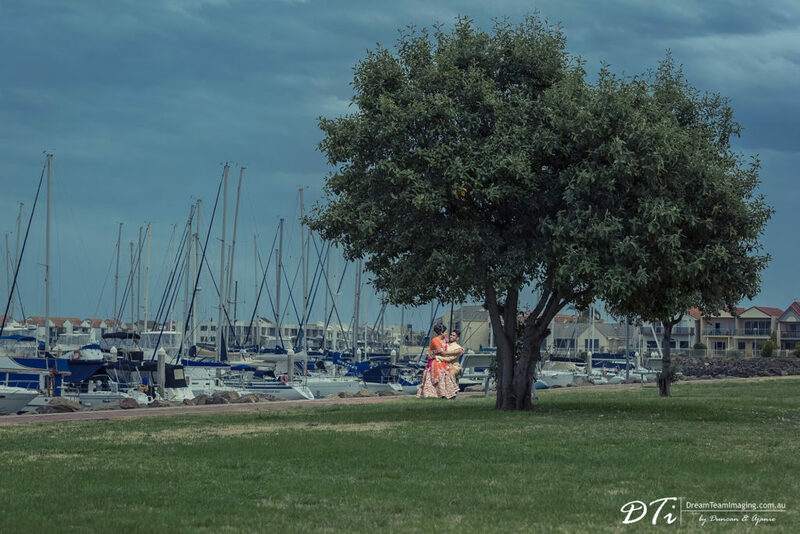 The day started out quite warm with clear blue skies and with daylight saving, we planned to start the session early evening. 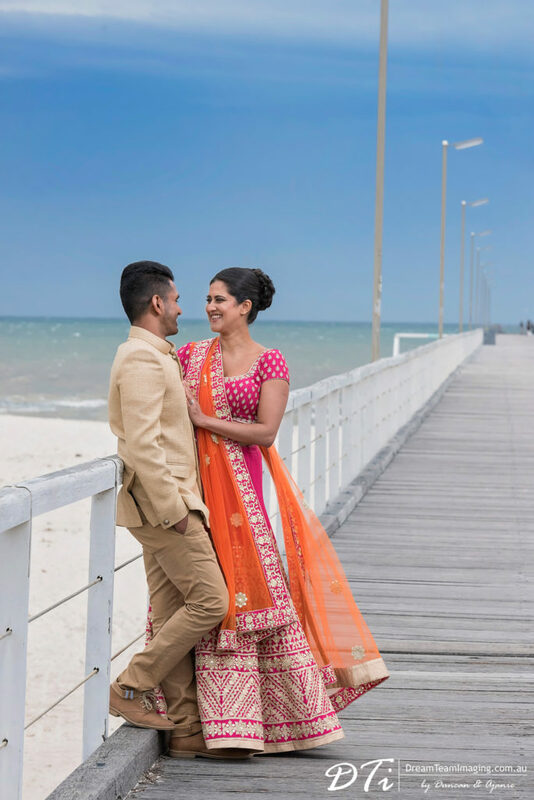 Little did we know, the weather Gods had other ideas. 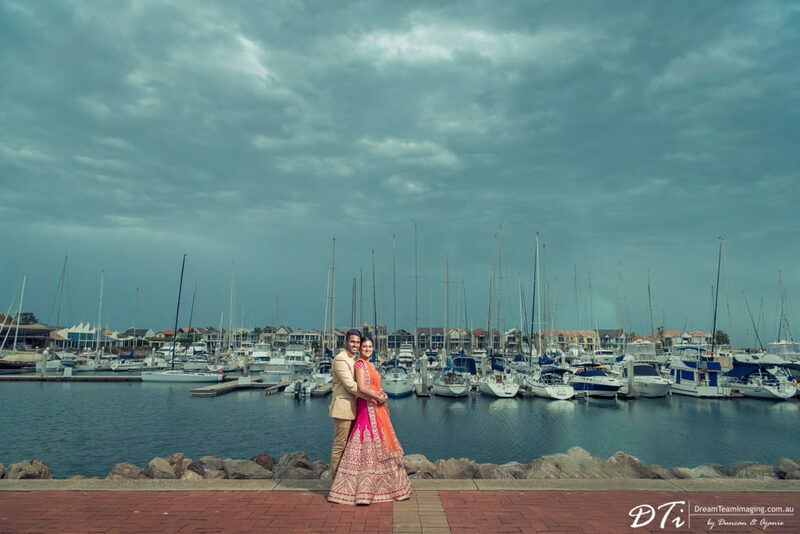 Late that afternoon, quite abruptly, rain clouds gathered out of no where giving us the fear we might not be able to do the session which we had looked forward to since meeting Ankita & Kumar a few weeks earlier. 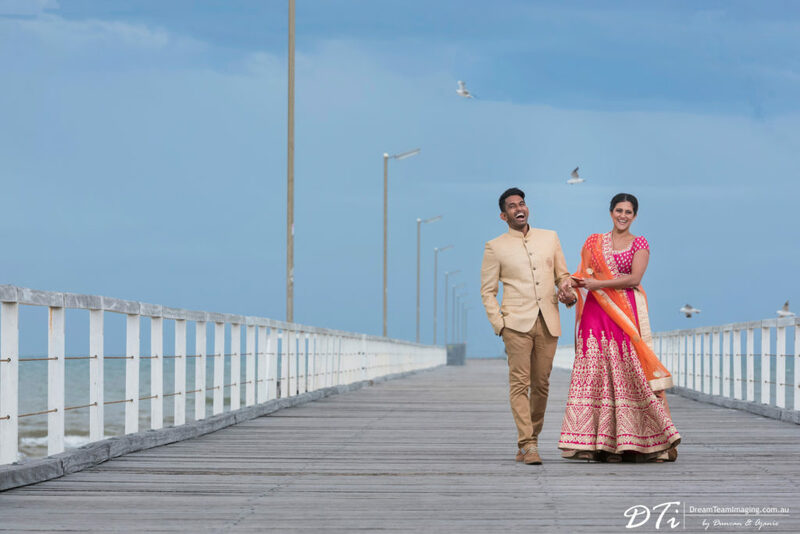 Despite the weather looking to take a turn for the worst, we met up with our lovely couple as planned at the entrance to Semaphore jetty. 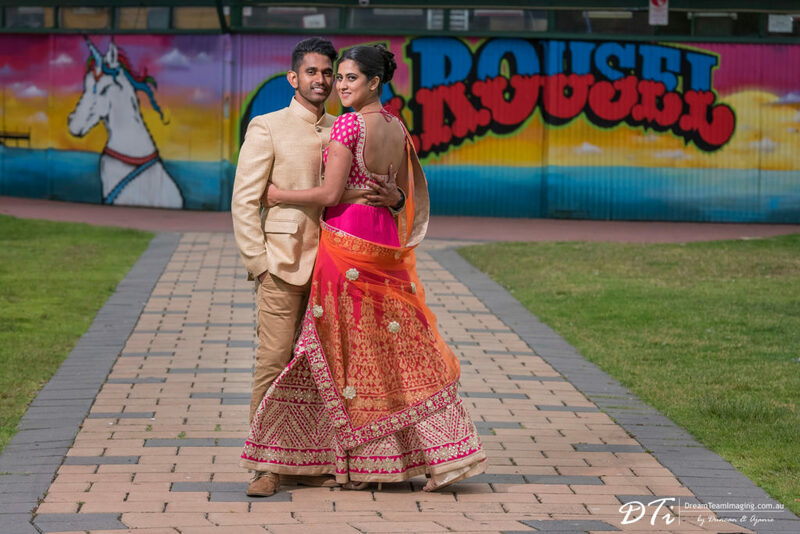 Ankita in a gorgeous, colourful traditional Indian dress looked like a true princess whilst her prince charming looked dashing in his regal outfit. 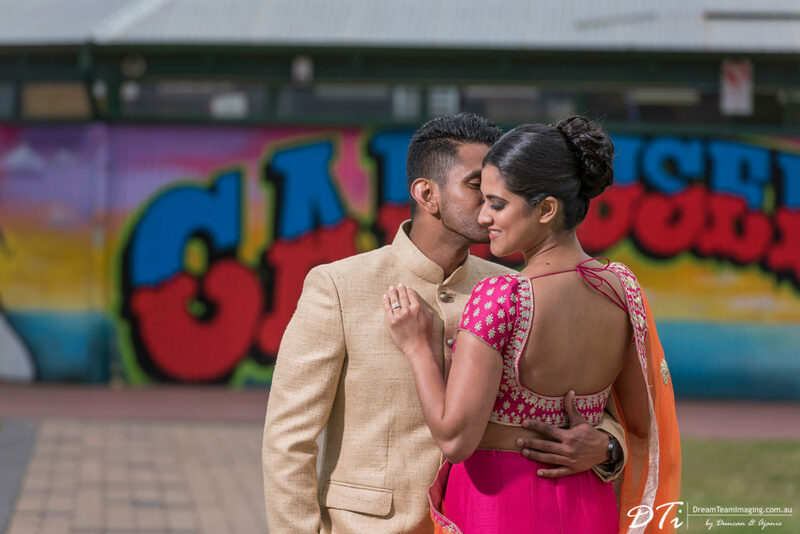 Fun, laughter and goofing around was the order of the afternoon. 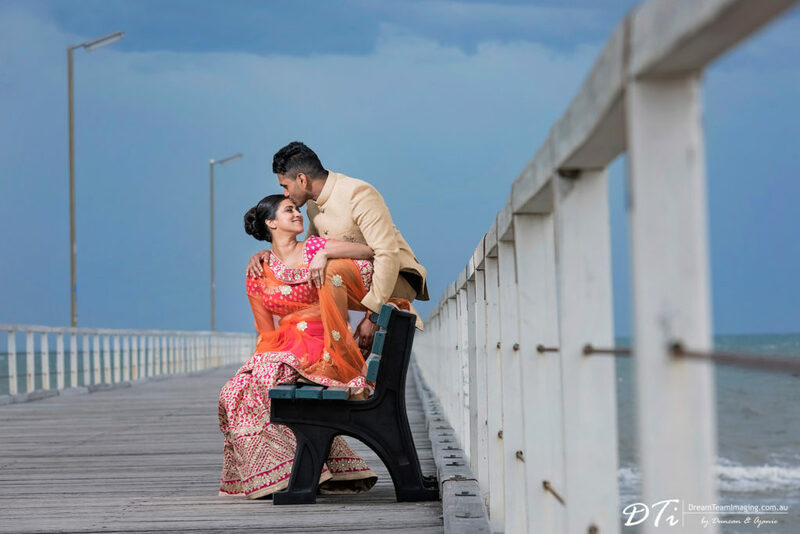 Thankfully the weather held without disrupting the fun we were having, providing dramatic skies in the background for a wonderful set of images. 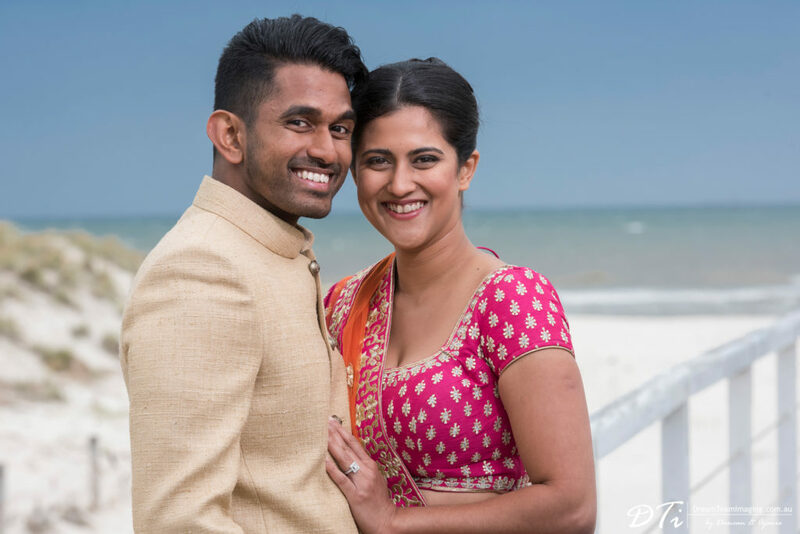 With Ankita & Kumar’s wedding a few days away (as we write this post) we cannot wait to be part of the first day of their lives as one.